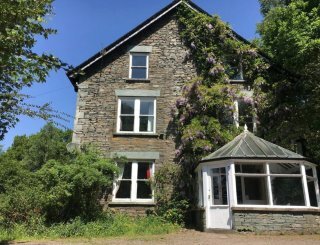 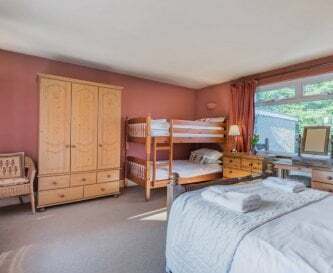 Big Pink House, near Bassenthwaite, Cumbria, sleeps 12-22 in 9 bedrooms. 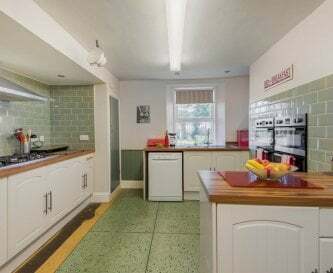 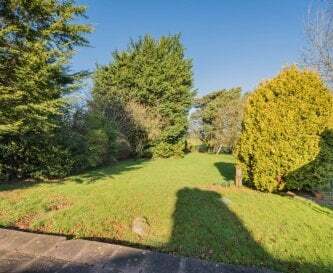 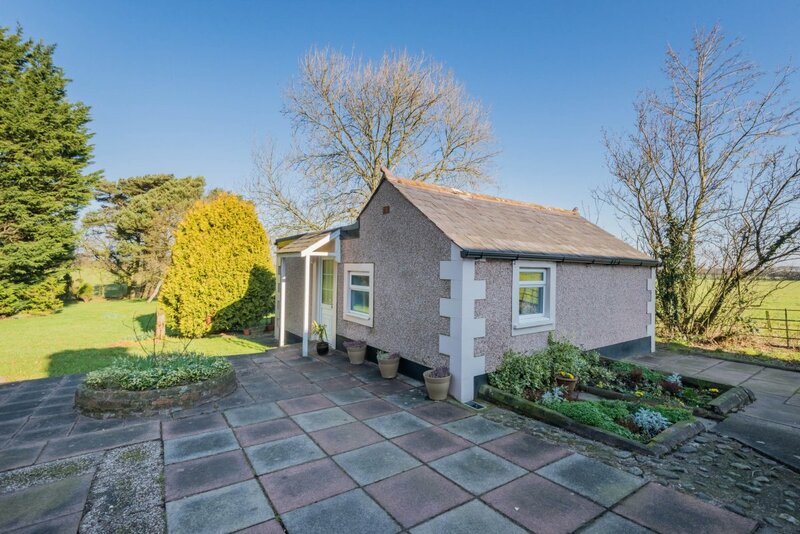 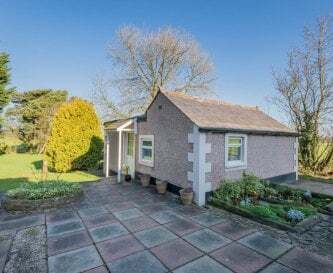 This detached house is located just north of Bassenthwaite and Keswick. 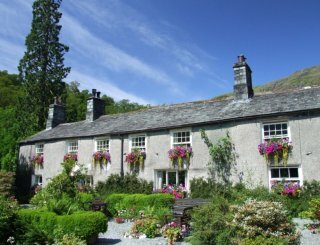 The house provides good access to the northern Lake District as Keswick and Cockermouth are just 20 and 15 minute drive away respectively. 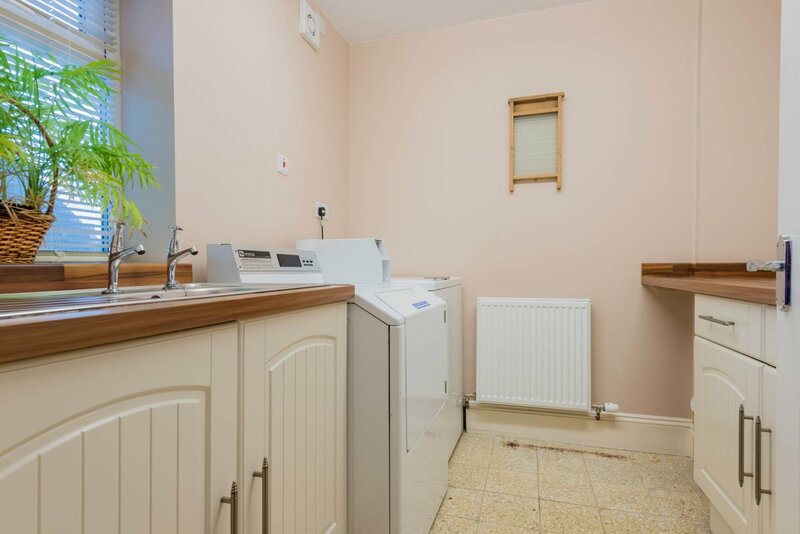 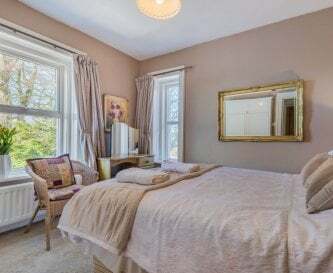 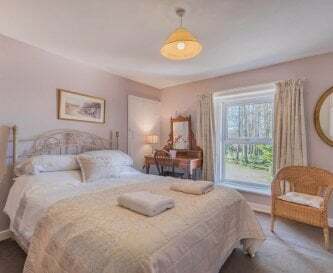 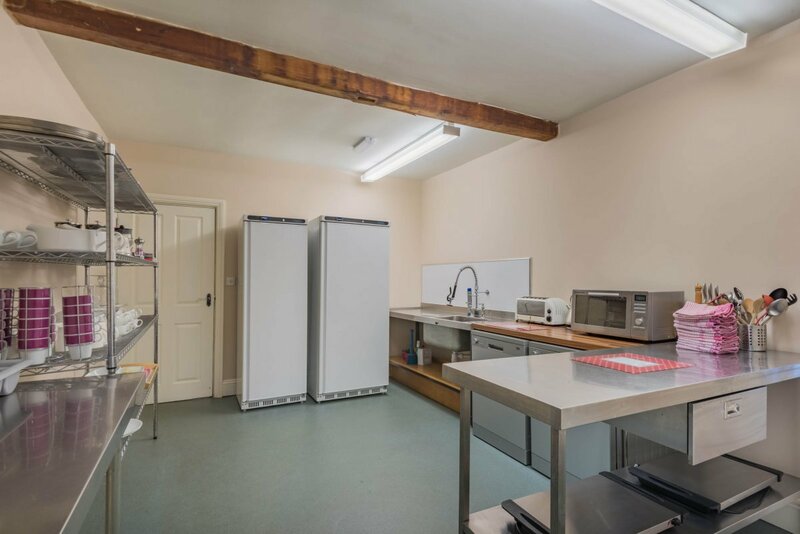 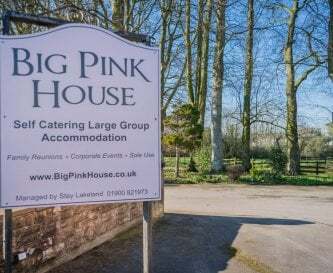 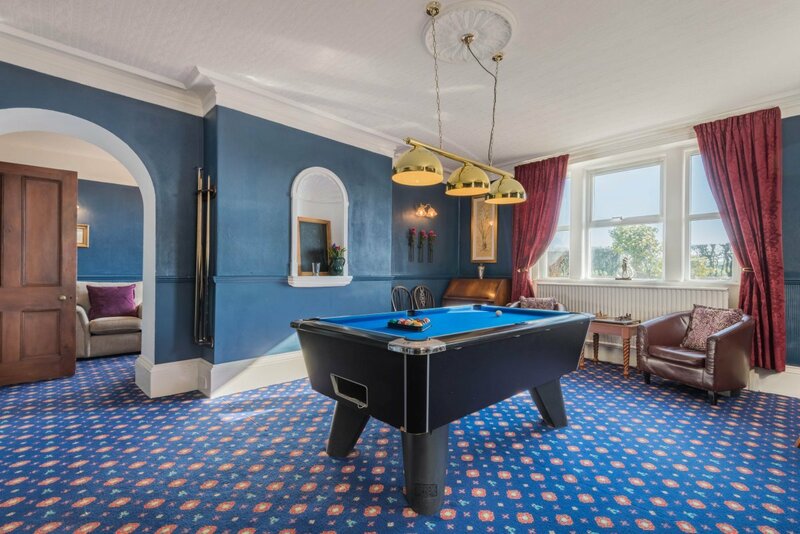 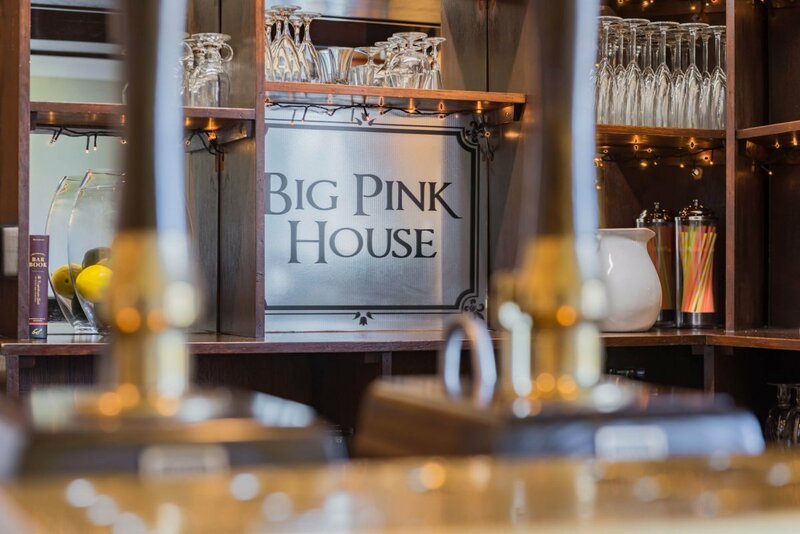 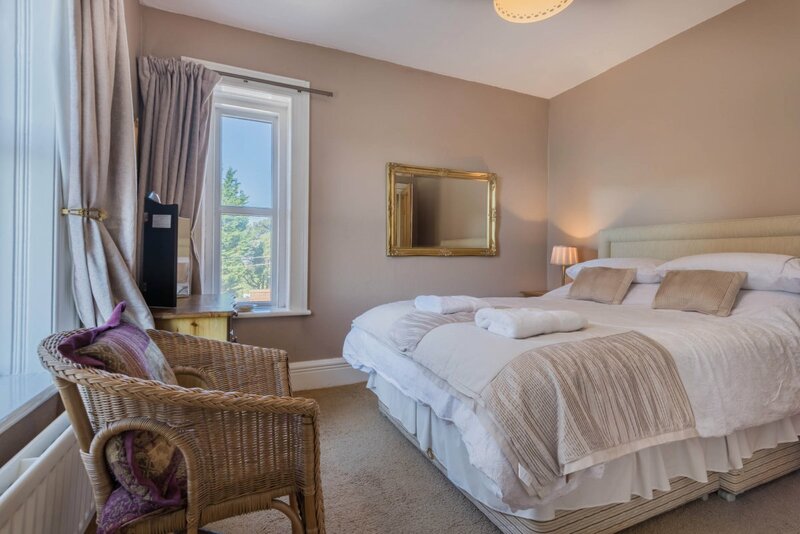 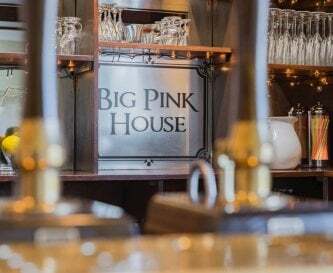 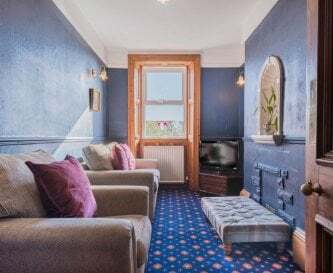 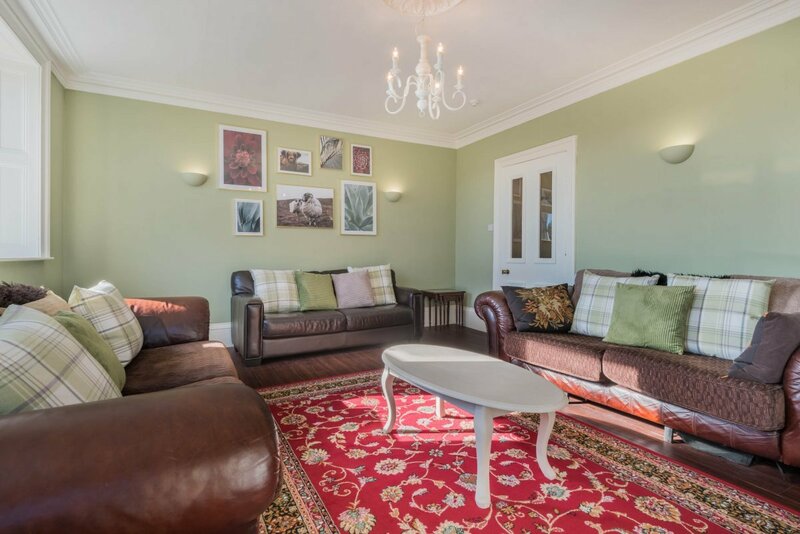 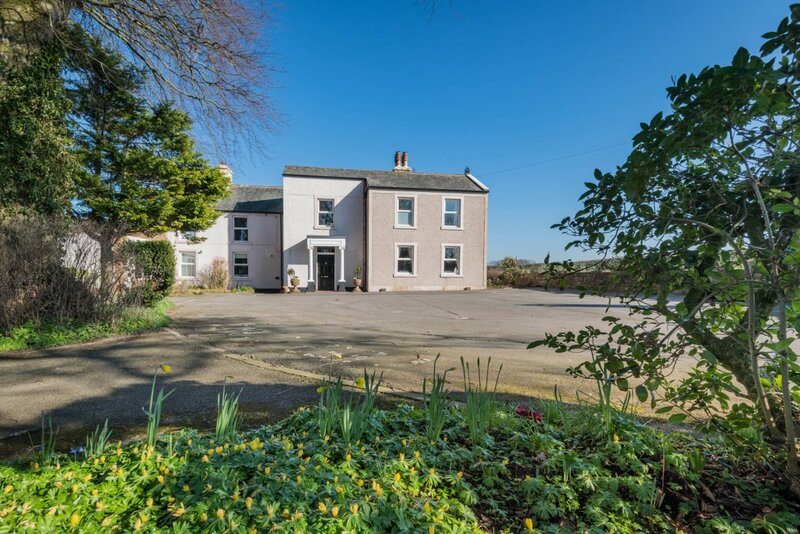 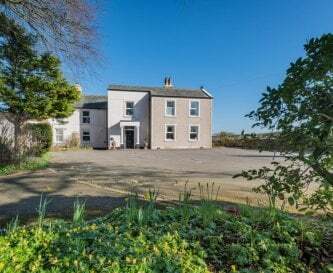 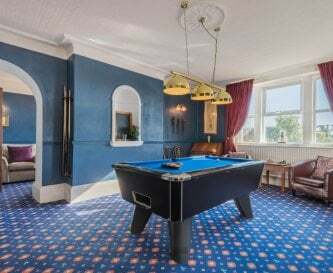 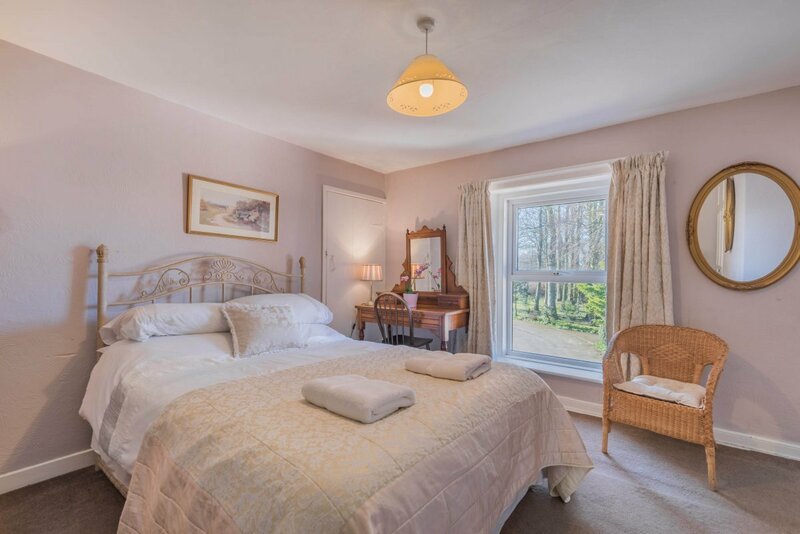 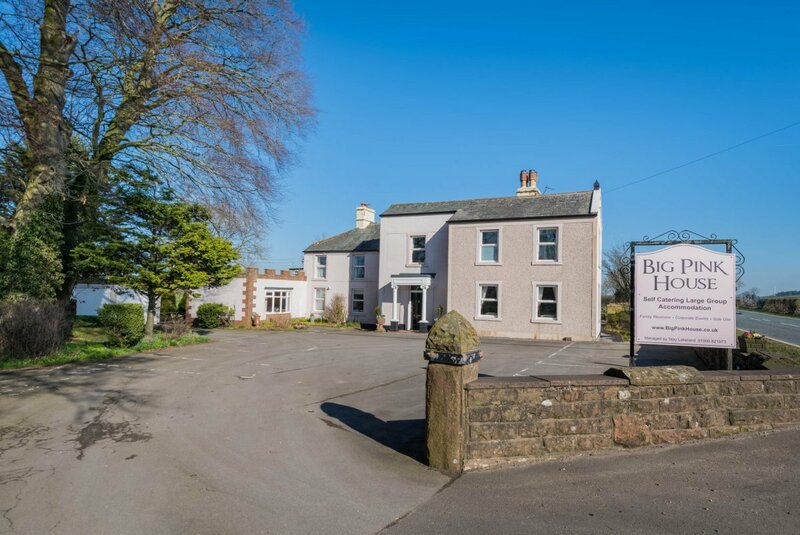 The Big Pink House can accommodate up to 22 people in 9 en-suite bedrooms and is an excellent venue for parties, social gatherings and family reunions. 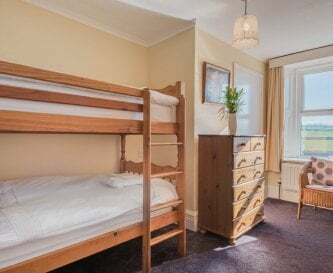 The 9 bedrooms are made up from: 2 double rooms, 3 twin bedroom, 1 bunk bedroom, 1 bunk and double bedroom and 2 family bedrooms (with double and single bed). 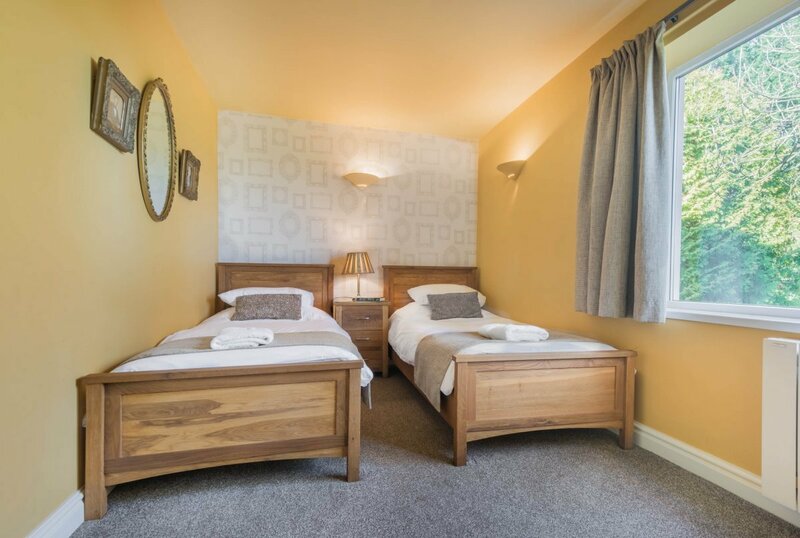 Each bedroom has an en suite shower/bathroom, wardrobes, dressing table and bedside cabinets. 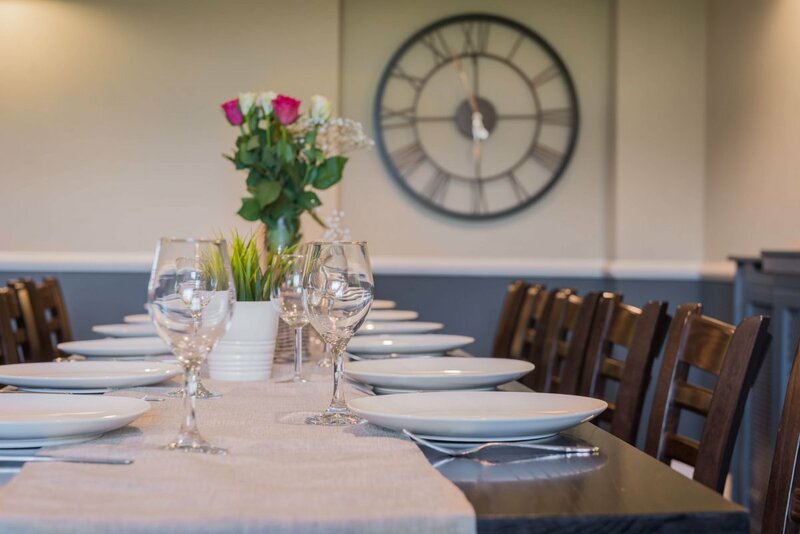 The large dining room allows everyone to get together at meal times and discuss their day or for that family celebration or reunion. 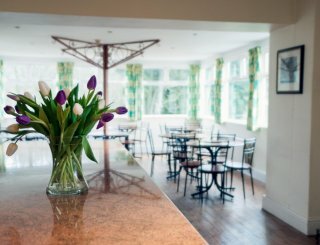 The dining room also has its own (un-stocked) bar - if you fancy being the landlord for the weekend! 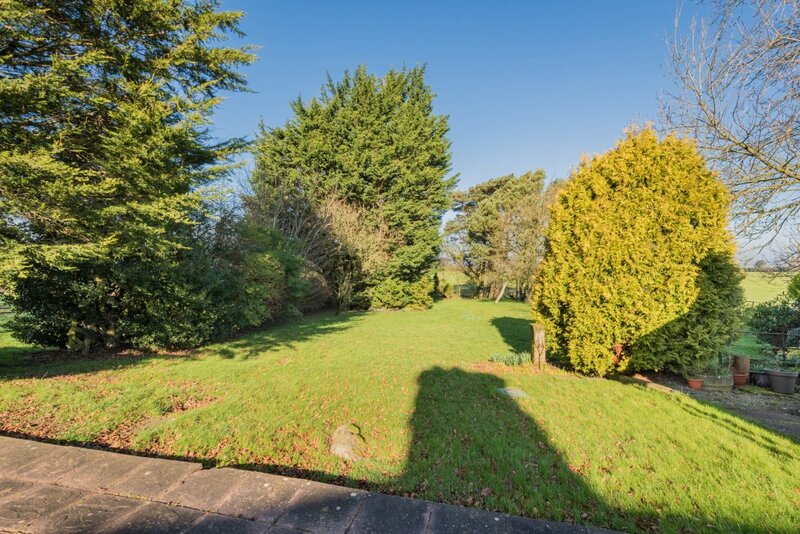 The house sits in an acre of private grounds where there is secure storage available for bikes etc. 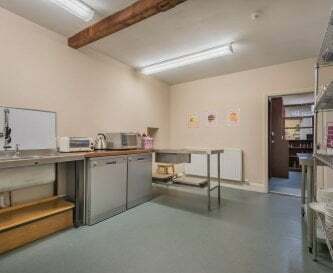 as well as plenty of parking. 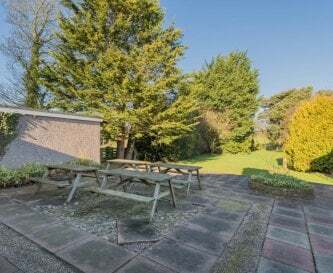 The grounds have patio and garden areas plus BBQ for you to use. 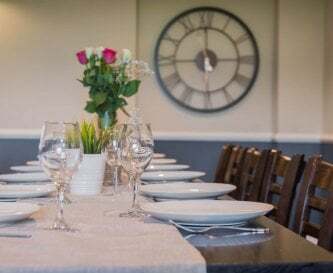 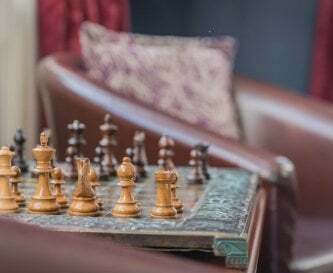 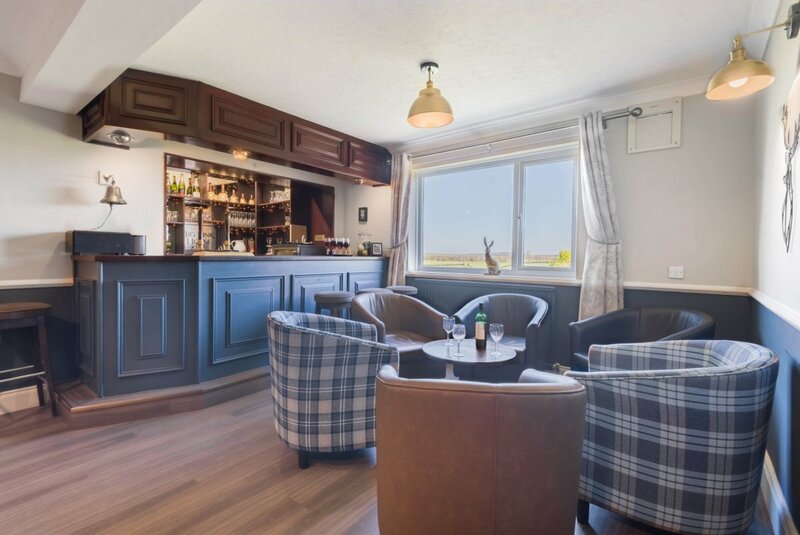 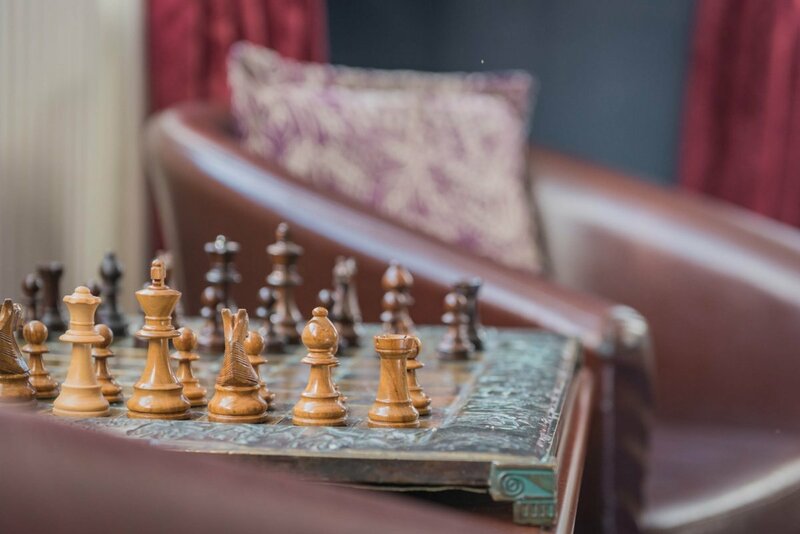 The owners have a good range of contacts in the area and can provide details of many activities, caterers and entertainment to make sure your stay is memorable. 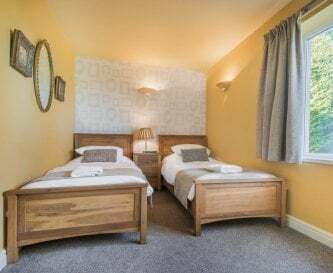 Lying just outside the boundary of the Lake District National Park, Cockermouth is an attractive market town not overwhelmed by the tourist atmosphere of Keswick and Ambleside. 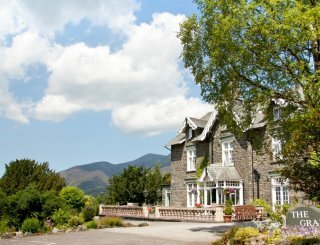 Cockermouth is near to some of the more peaceful lakes and mountains. 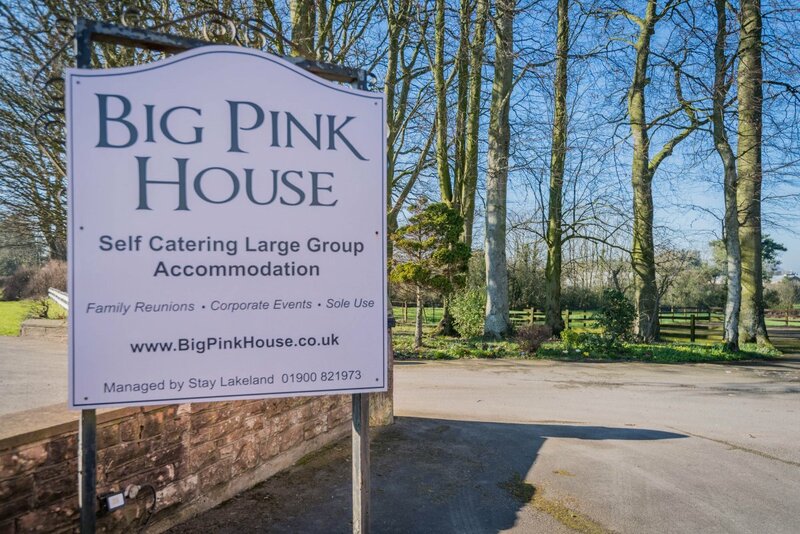 For much more information about the Big Pink House, please visit our website. 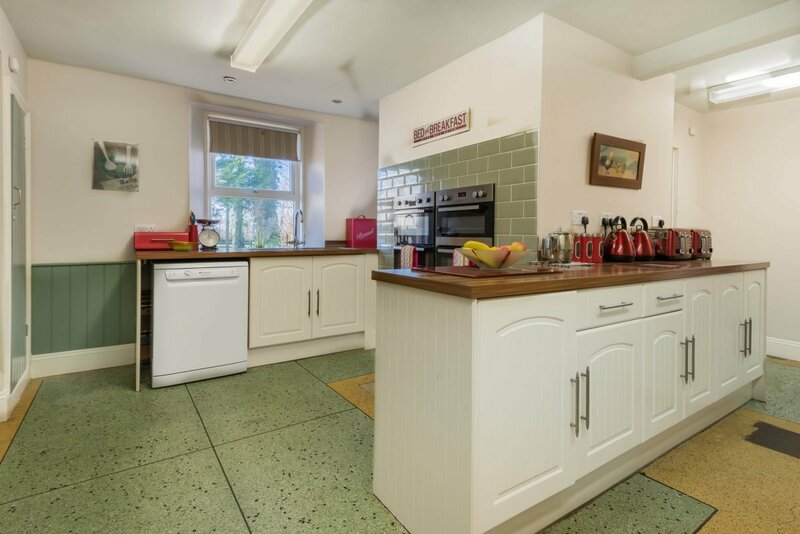 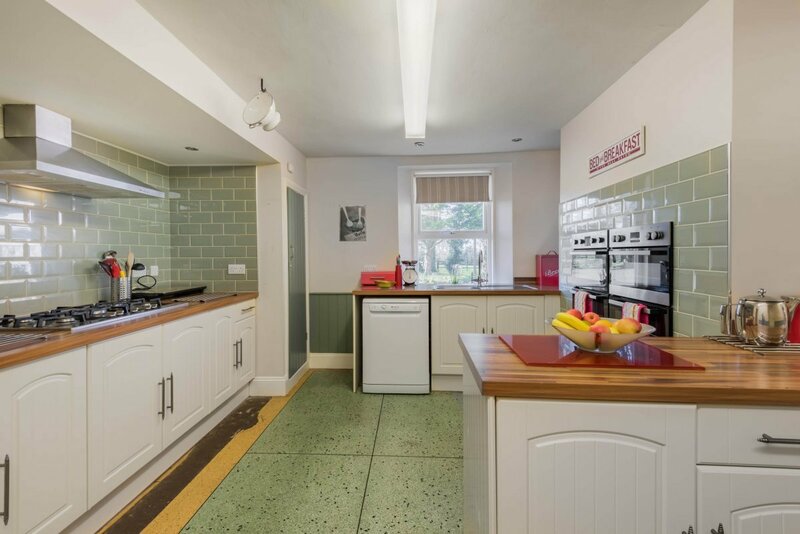 Spacious well equipped kitchen area with separate pantry leading into the dining area plus utility room. 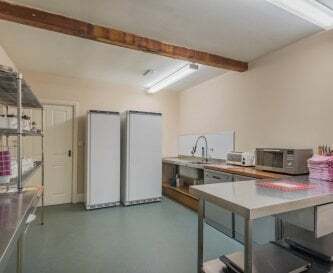 Dining area with large table and seating for 22 & additional seating with its own (un-stocked) bar - if you fancy being the landlord for the weekend. 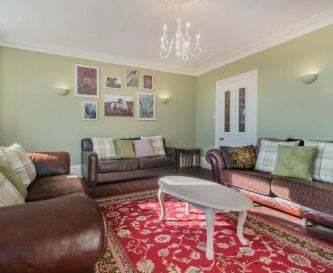 Lounge area with sofa seating and fireplace. 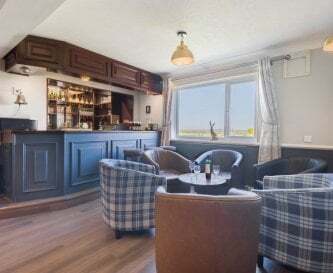 Plus separate lounge with 50" Plasma TV and adjacent pool table room. 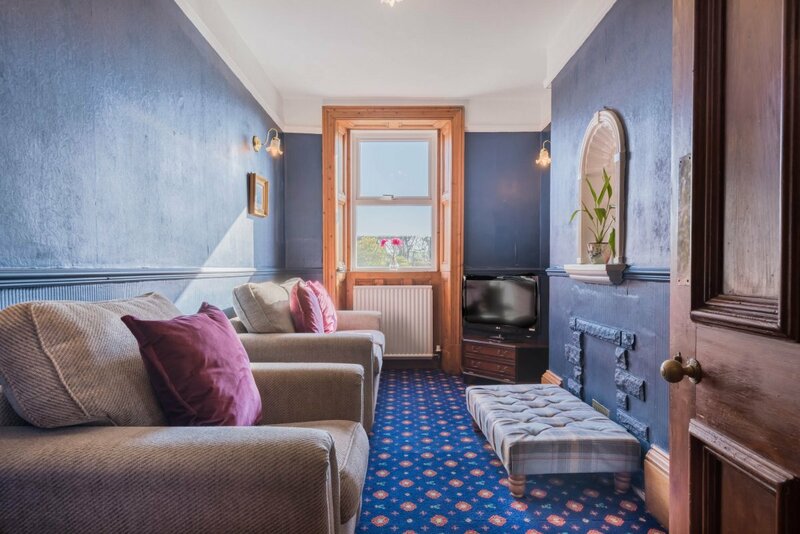 TV Lounge with 50" Plasma TV. 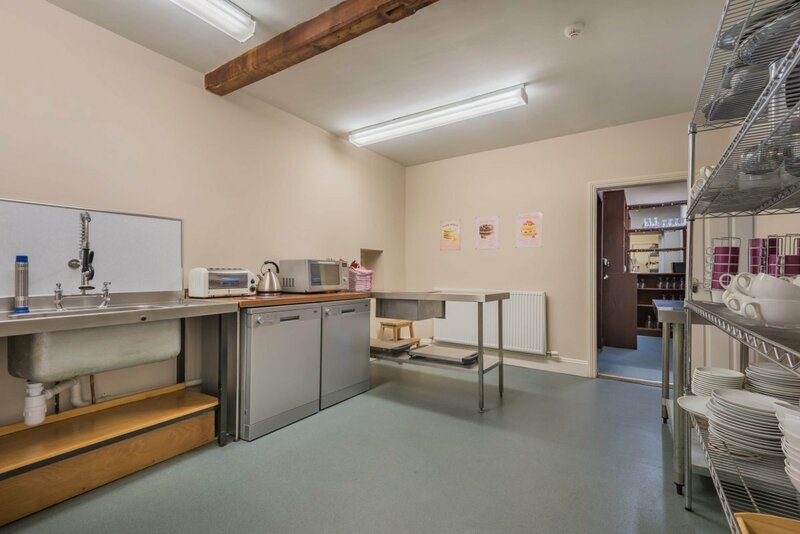 Broadband and Wi-Fi is available. 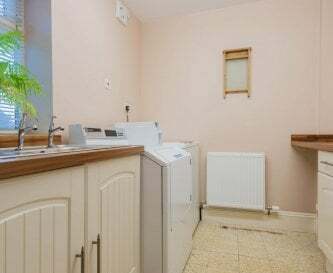 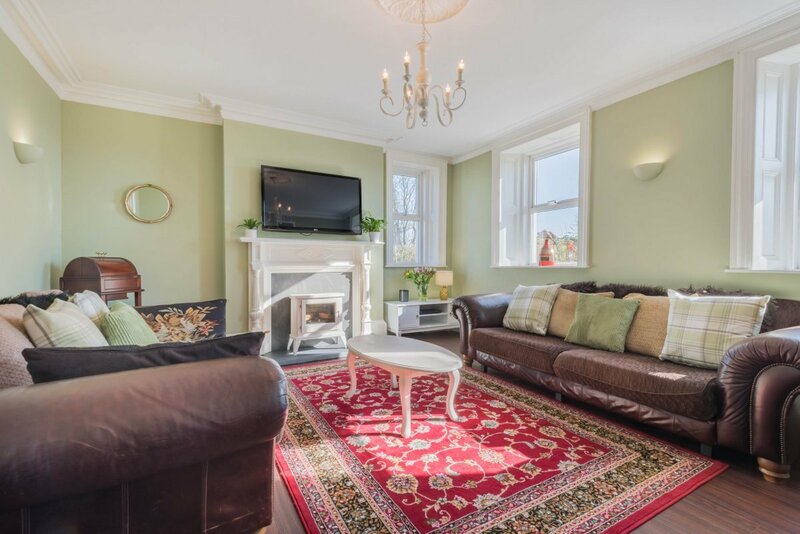 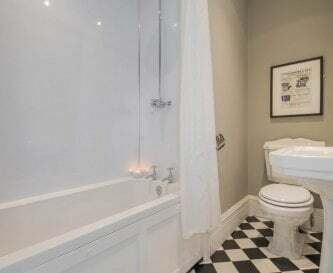 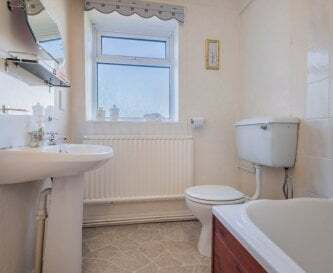 Fully central heated (heating is included within the rental price). 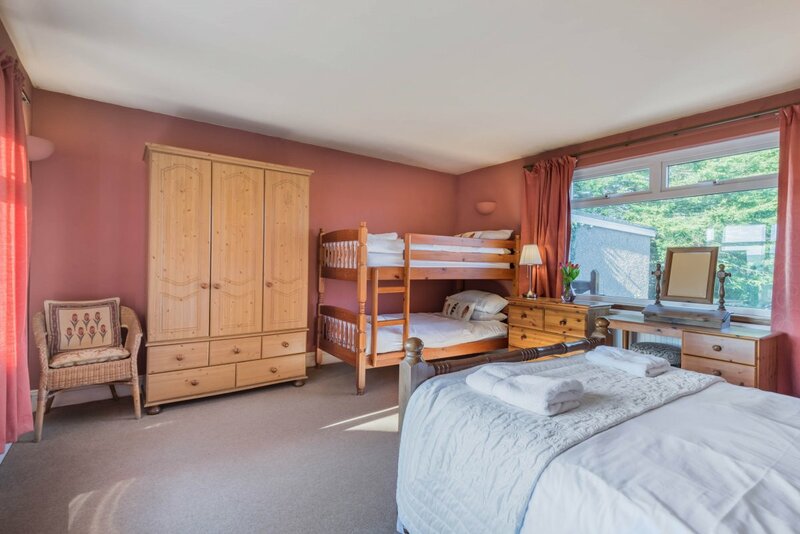 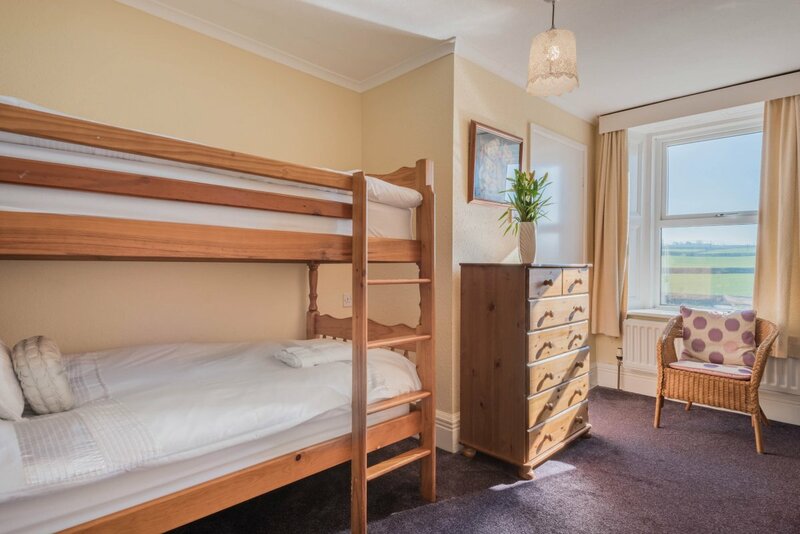 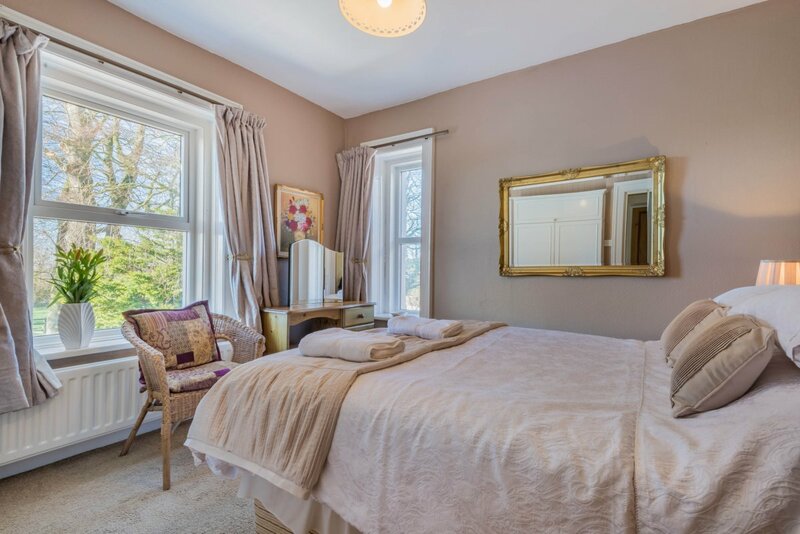 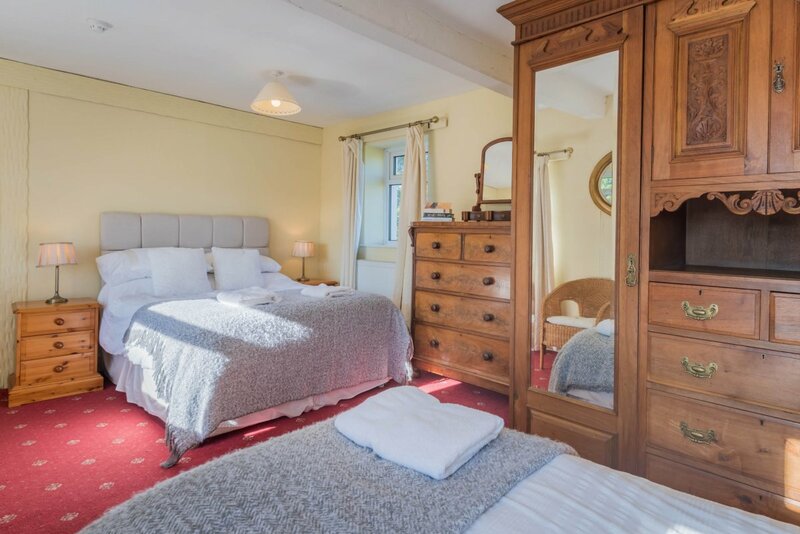 9 en suite bedrooms - 2 double rooms, 3 twin bedroom, 1 bunk bedroom, 1 bunk and double bedroom and 2 family bedrooms; with double and single bed. 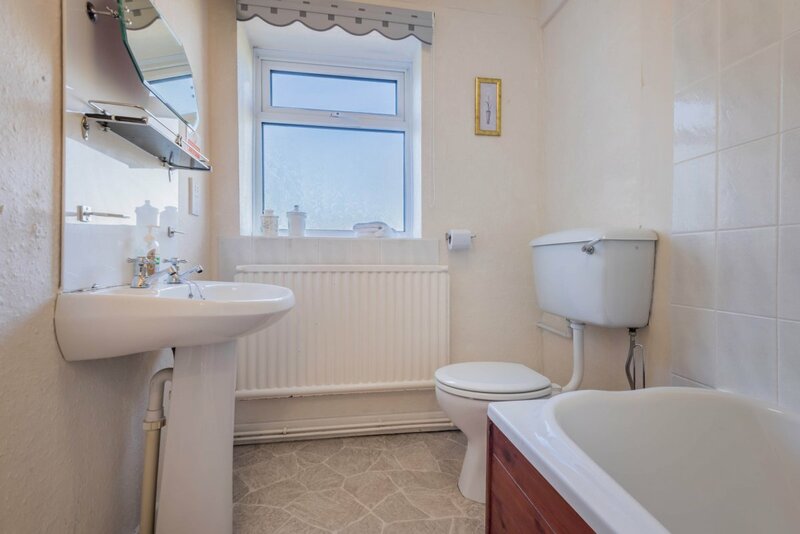 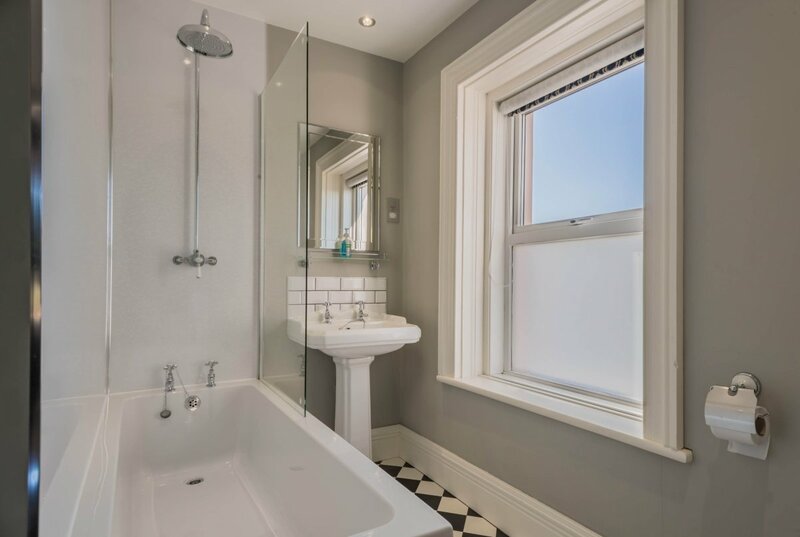 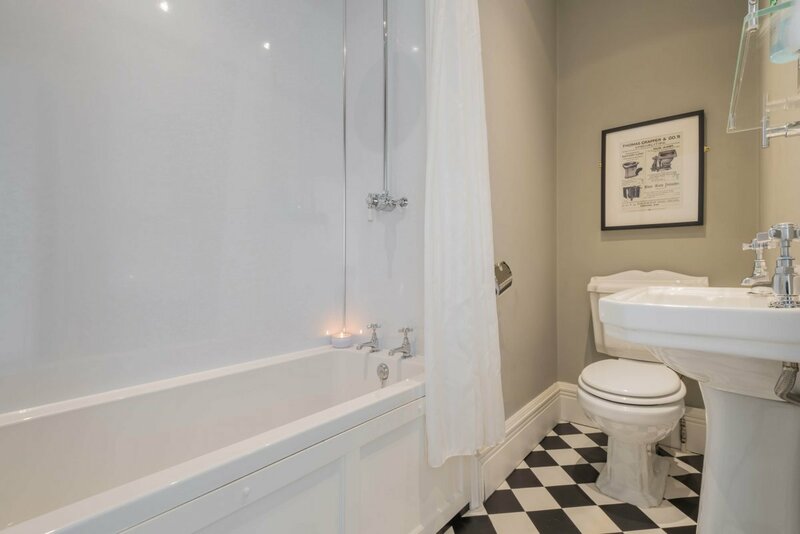 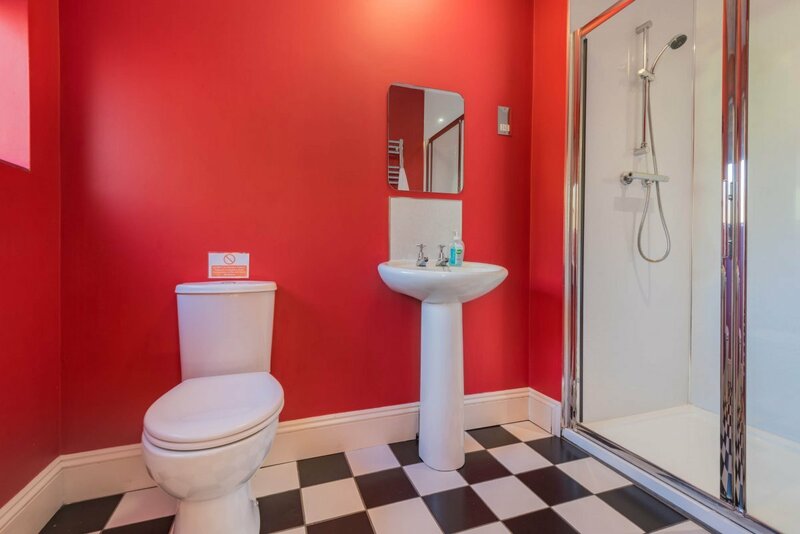 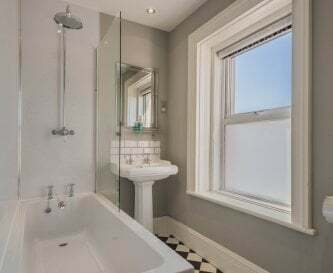 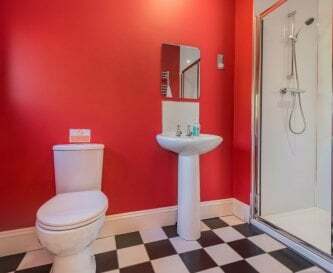 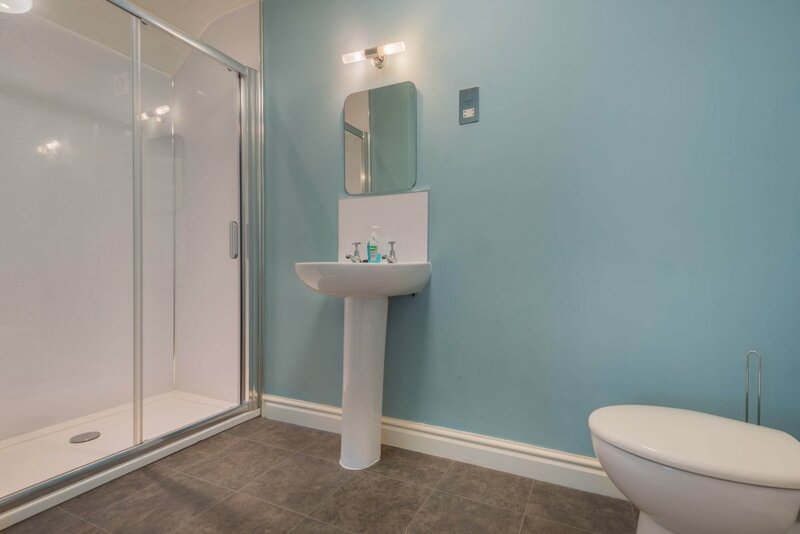 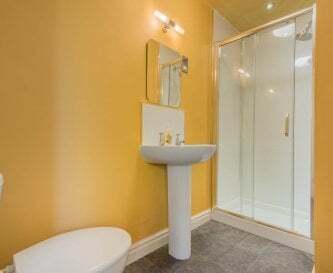 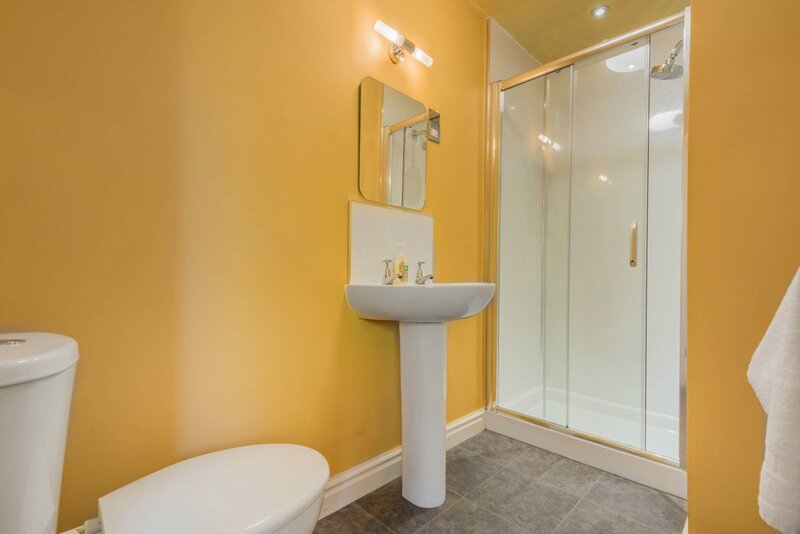 9 en suite bath/shower rooms plus additional WC facilities. 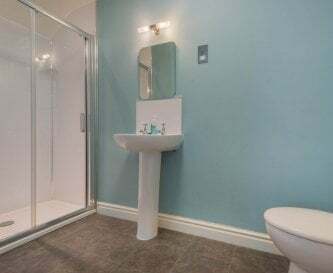 We are not equipped to accommodate disabled guests. 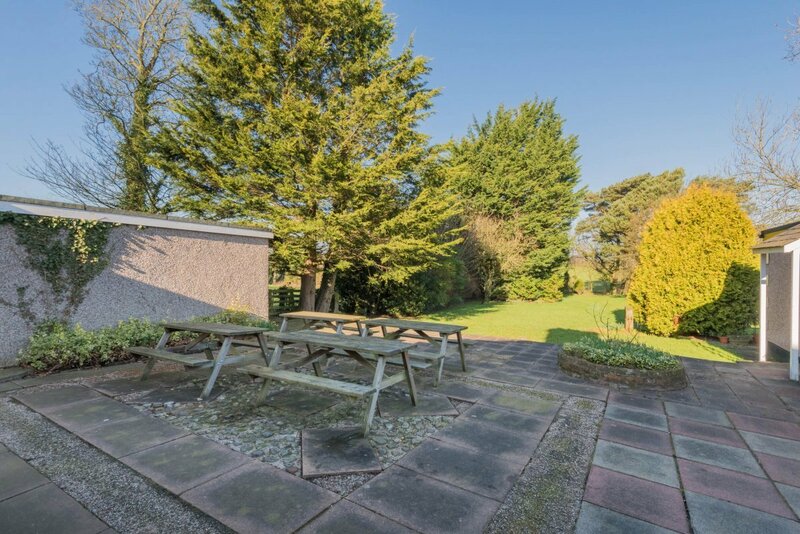 Ample car parking for all guests. 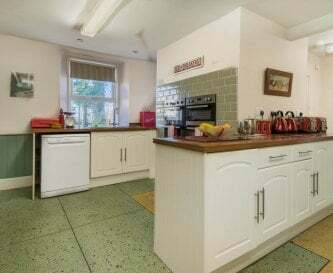 Pets are not allowed in the Big Pink House. 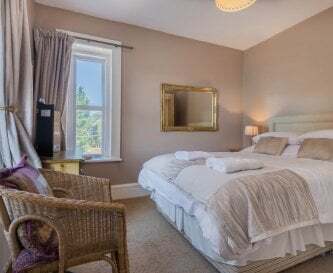 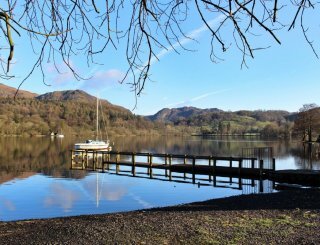 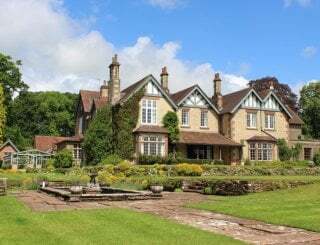 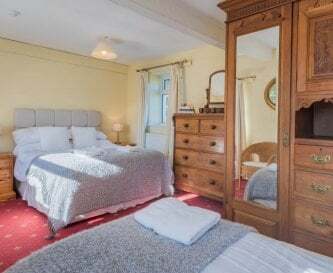 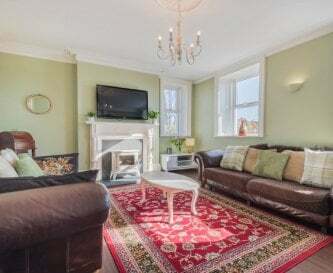 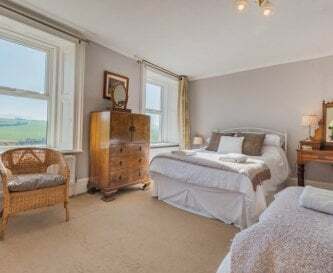 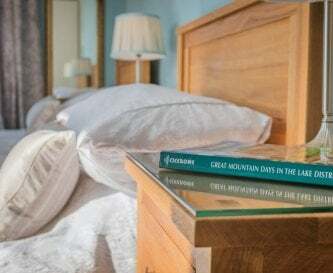 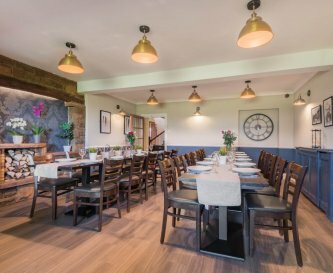 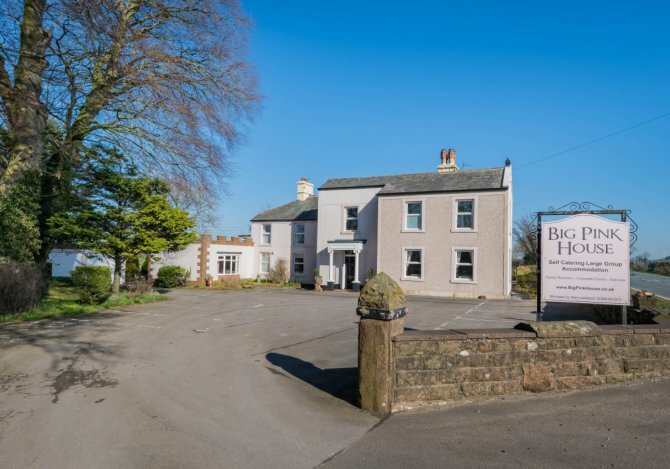 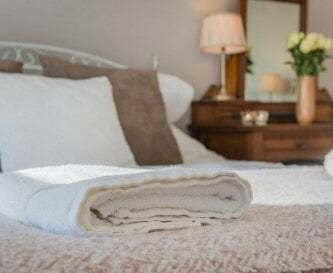 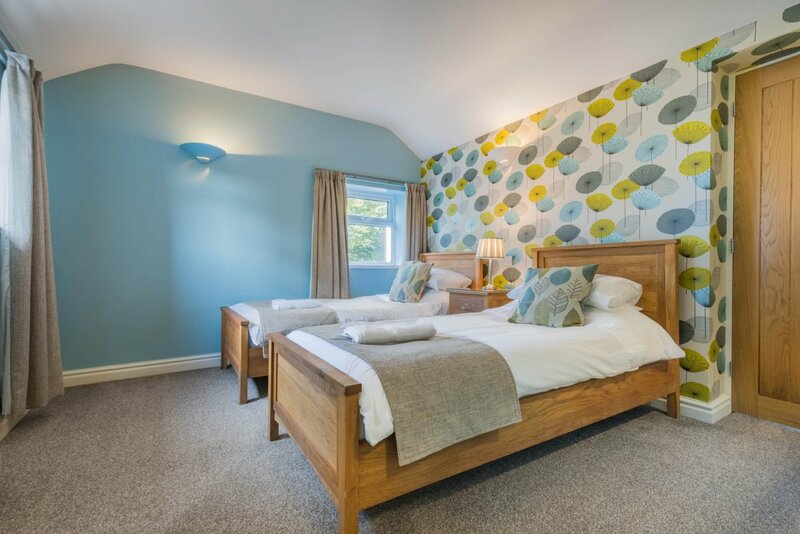 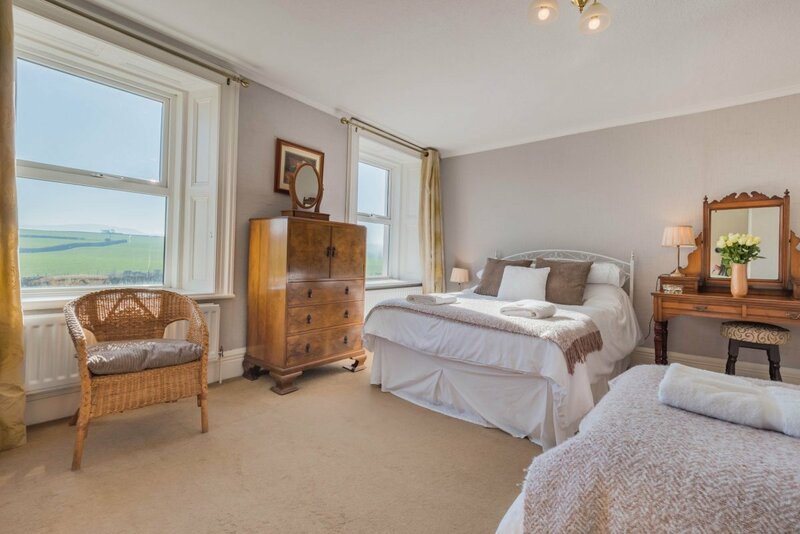 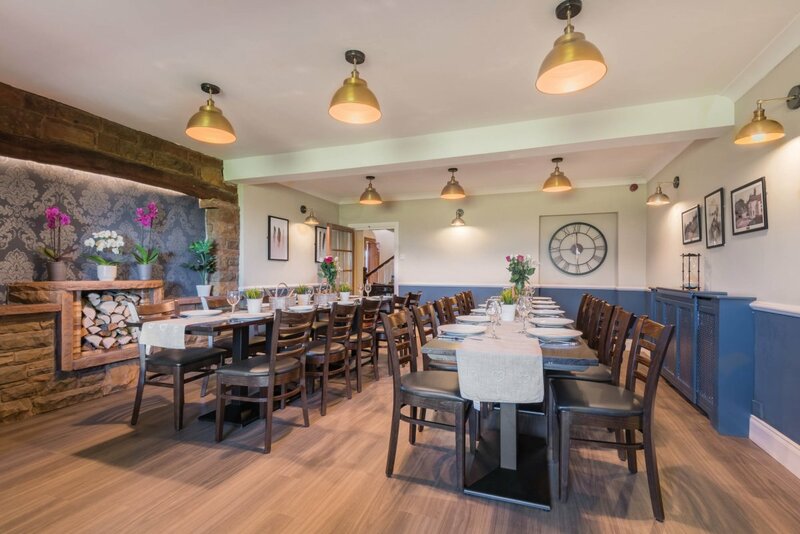 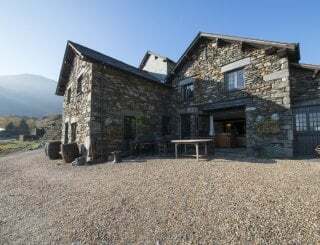 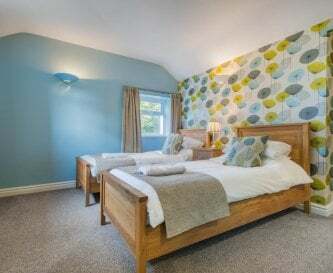 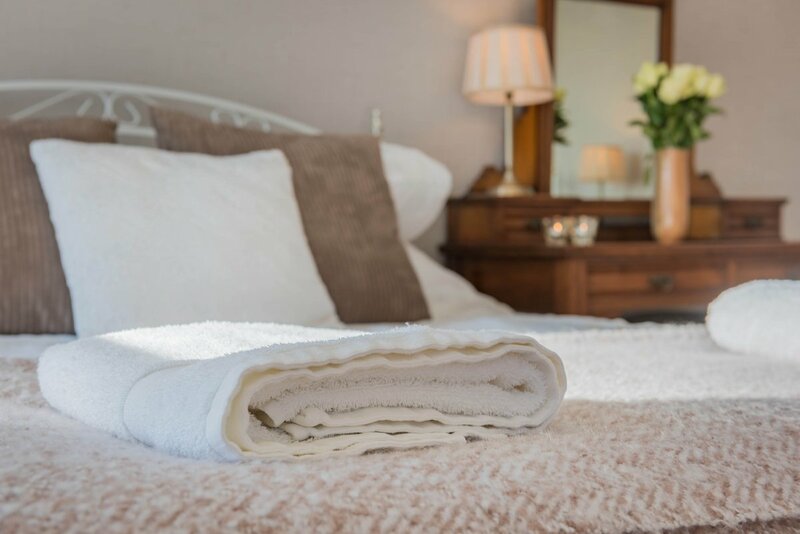 Located on the edge of the Lake District national park, providing easy access to the popular locations such as Keswick, Cockermouth and central Lakes. 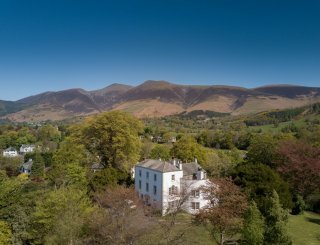 Wigton (5 minutes), Cockermouth (15 minutes) & Keswick (20 minutes). 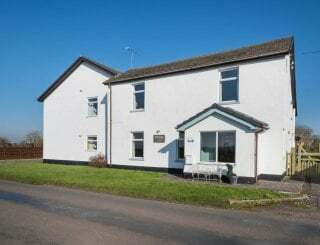 Co-operative at Wigton (5 minutes drive). 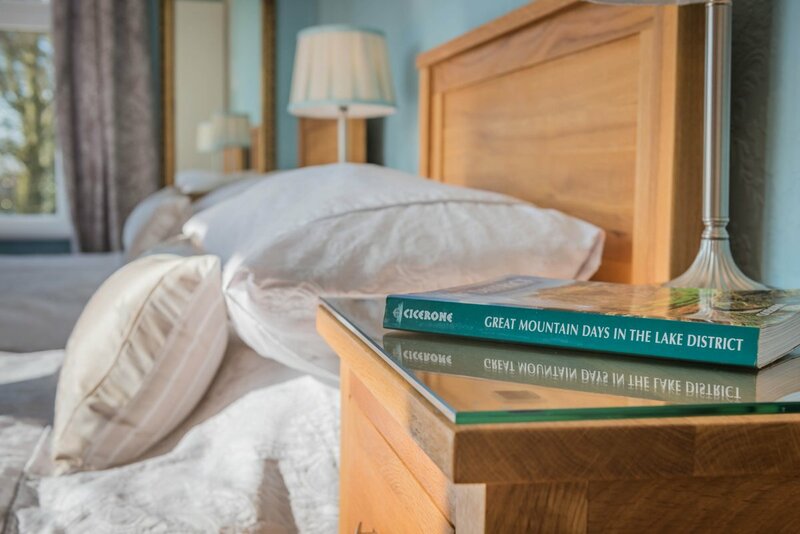 Weekly prices from £1,150, short breaks available Friday - Monday (3 nights) or Monday - Friday (4 nights). 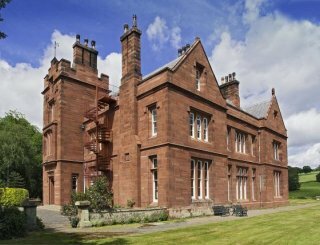 Aspatria (10 minutes drive) or Carlisle Train Station (25 minutes drive).